FORT LAUDERDALE, Fla.--(BUSINESS WIRE)--Entic, a leader in enterprise solutions for reducing utility waste and increasing net operating income, has established a track record of making building analytics truly operational at both the portfolio and the property level. 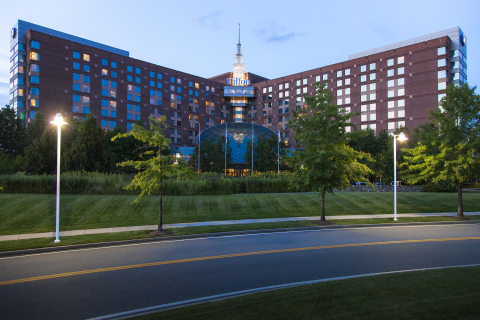 These efforts have been particularly successful at Hilton (NYSE:HLT), a leading global hospitality company, which has witnessed a 10 percent utility reduction across the portfolio of properties where it has deployed Entic. Hilton is leveraging its partnership with Entic to help achieve its “Travel with Purpose” commitment to cut the brand’s environmental footprint in half by 2030. Based on early successes using building analytics, Hilton said it undertook a portfolio-wide approach and has begun a scaled rollout of the Entic technology. “We truly believe Hilton is writing the playbook in using enterprise-wide building analytics to deliver building efficiencies and sustainability on a corporate level,” said Entic’s Co-founder, Carlos Diaz. With a portfolio of 14 world-class brands comprising more than 5,300 properties, and a company-wide commitment to sustainability, Hilton is poised to redefine responsible travel and tourism, according to Entic. According to the company, success is tied to teamwork: At the building level, Entic’s platform collects accurate, real-time data and delivers powerful analytics, identifying inefficiencies that are wasting energy. Entic’s tools provide optimal visibility beyond what existing building management systems (BMS) are able to achieve. Hilton’s operators then actively and continually leverage Entic’s analytics to ensure properties are operating at peak performance, without negatively impacting guest comfort. This initiative aligns with Hilton’s strategic dedication to reduce environmental impact by driving efficiencies, providing value for both owners and local communities. “Through analytics, we have consistently been able to provide comprehensive data and powerful solutions to achieve peak performance and increase net asset value,” said Diaz. Entic’s solution has been deployed across various geographies and property sizes within the Hilton portfolio, and continues to provide a strong return on investment. 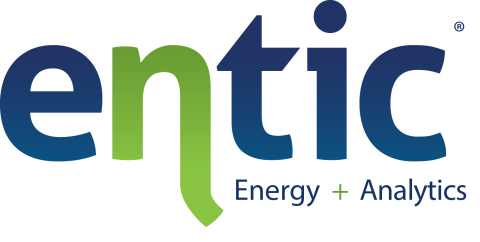 Entic provides building owners with substantial energy waste savings through increased operational visibility and control under an affordable, easy-to-implement subscription model. Used by some of the most recognized names in hospitality, healthcare, commercial office real estate and sports venues, Entic provides real-time financial and engineering dashboards so that business executives and facility managers can make better decisions. For more information, please visit www.entic.com and connect with Entic on LinkedIn, Twitter, YouTube and Facebook.